Niagara Falls has certainly earned its place as one of the Natural Wonders of the World. The sheer size of the Horseshoe Falls — 2,200 feet in length and 177 feet in height — and the amount of water —6 million cubic feet per minute over the falls — alone can inspire great awe in any observer. While many are keen on experiencing some mysticism along with the beauty of the falls, others are too curious to let the history of the falls slide on by. If you are a scientist at heart and yearn to know more about the story behind Niagara Falls, read on for a brief exploration of the creation of the falls. At the end of the most recent Ice Age, the world was a very different place. Glaciers covered most of North America, rendering it almost completely unrecognizable from the topography we are familiar with today. 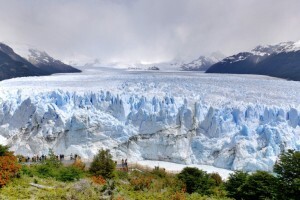 As the Earth warmed and the mountains of ice receded, huge amounts of cold water from the glaciers were left behind and collected into unfathomably large, land-locked lakes. 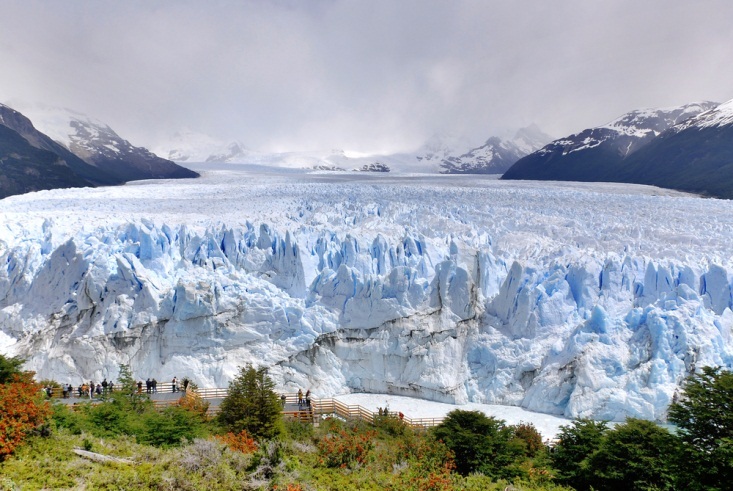 However, the glaciers of the area did not simply retreat and leave the land barren; instead, several centuries of advancing and withdrawing carved the landscape to encourage certain paths for the melted water to take. In eastern North America, some of the water channeled itself into the 36-mile-long Niagara River which emptied out over the edge of a cliff, what we now call the Niagara Escarpment. More than 12,000 years ago, when the water first rushed over that cliff, the falls were much farther south, in what is now Lewiston, New York. While the falls are still in relatively the same area of the globe, they look dramatically different from when the water first started falling. First, the falls are no longer located in Lewiston, New York, as you may astutely notice. Due to the process of erosion, or the gradual wearing away of sediment due to constant friction like that of wind or water, the falls of the Niagara River have worn the Niagara Escarpment all the way back north to where you can find it today. Niagara Falls is still very effected by the same processes that shaped it thousands of years ago. Erosion of the landscape by the river and the falls continues every minute, and the falls continue to recede into the surrounding landscape. Additionally, the freezing and thawing of the Niagara River moves and shifts the sediment even during the seeming calm of winter. Modern technology is helping people slow the erosion of Niagara Falls to preserve its current status as one of the Natural Wonders of the World. Some of the water from the Niagara River has been diverted through dams and hydroelectric power stations to help fuel the energy consumption of the surrounding area. 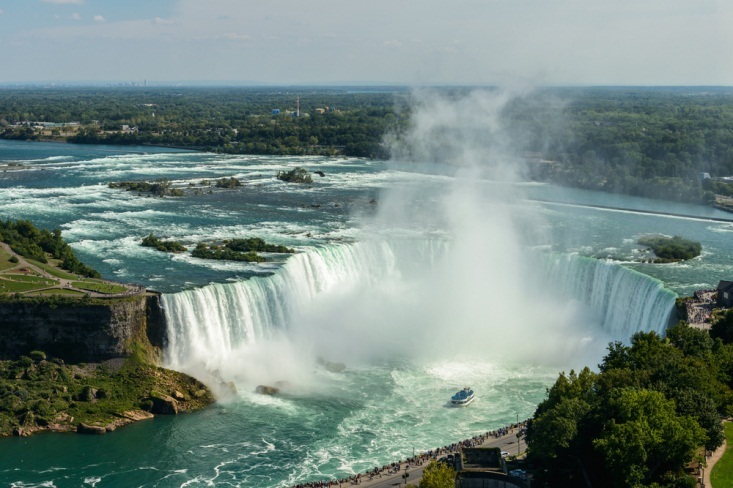 If you’re still fascinated by the processes that continue to shape the falls, the rivers and the surrounding land, you can learn more during your trip to Niagara Falls, Ontario. The Niagara Falls History Museum presents information for all ages on the science and history of the falls, and it includes predictions of what will happen to the falls if the current rate of erosion continues unimpeded.